Inspect your lights: Perhaps of all decorations hung up each Christmas, lights best capture the warmth of the season. However, before you pull your string of lights out of the attic, be sure to inspect each strand thoroughly. That means looking out for any frayed wires, broken bulbs or loose connections. If you need to buy any new bulbs, make sure they are of equal wattage to the original strand of lights. Finally, if you’re getting new lights entirely, always insect tat the strands are properly certified, either by the Canadian Standards Association (CSA) or Underwriters Laboratories (UL). You also need to be careful about how you hang lights and other decorations. Ladders should always be placed on firm ground and that you don’t climb atop unstable surfaces. Choose your tree carefully: For many families, the lights are only as bright and beautiful as the tree they are wrapped around. However, you want to do more than simply pick the biggest or fullest tree on the lot. To begin, double check just how fresh the tree is; the best trees won’t lose needles if tapped or shaken. You also want to consider overall freshness, as dried out trees are often to blame for house fires. In fact, according to the National Fire Protection Association, dry trees cause an average of 210 fires per Christmas season. If a tree is cut properly on the lot, it will better absorb water once in the actual stand. Other important steps include frequent watering and turning off any lights whenever you’re away from home. Christmas should be a time for family and friends. 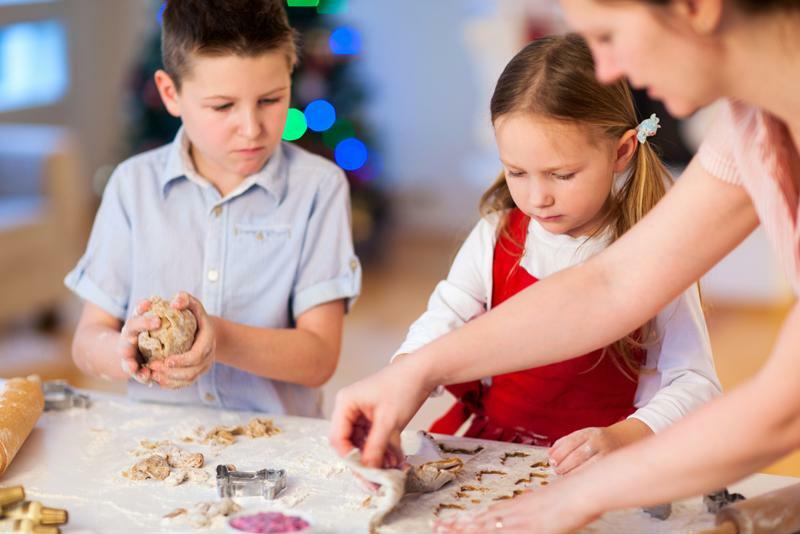 Create a safe kitchen: Whereas most people only spend part of Thanksgiving actually cooking, many people will spend a dozen or so hours in a kitchen around the Christmas holiday. In turn, that increases the likelihood of some kitchen disaster possibly dashing your family’s good time. Whether you’re baking cookies or preparing that giant Christmas feast, it’s important to be extra cautious and attentive in the kitchen. That means focusing more on individual tasks and paying close attention to boiling pots and pans. You should also try and reduce the number of actual cooks in the kitchen. Less clutter overall means fewer accidents and less of a chance that you’ll become distracted by someone else. If possible, rearrange your kitchen beforehand to optimize access to important tools. If you or a family member are somehow injured during the Christmas season, there are dozens of CareWell Urgent Care locations across the East Coast. Open seven days a week, CareWell‘s highly experienced team of physicians and nurses can treat almost injury, from twisted ankles to certain burns.